Drywalling and partitions have emerged as the latest focus point of technologically-sound and modern homes and commercial spaces. Major developers, architects and designers use these partitions to divide large spaces and add a better layout and form to the areas. 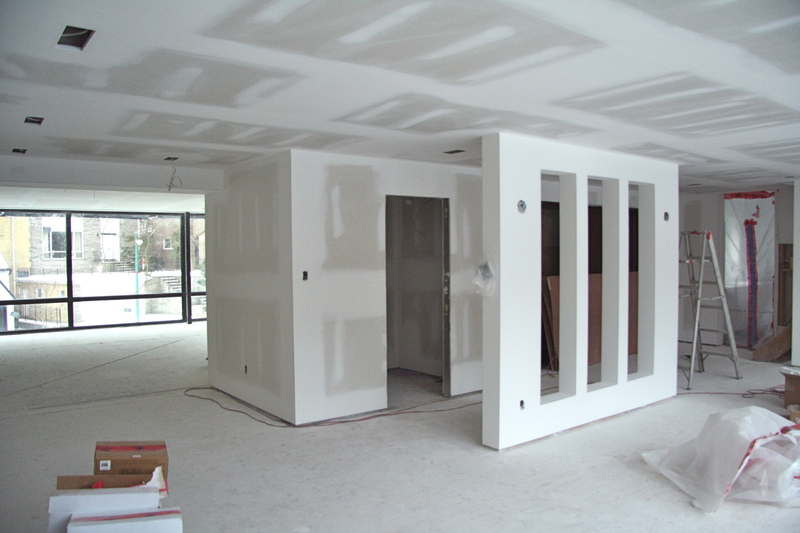 We offer the best plasterboard that is suitable for residential and commercial projects. They meet the highest levels of thermal and acoustic insulation and are fire and moisture resistant. They meet all the statutory functional requirements like fire ratings, are high-impact resistant and can also support the loads of wall cabinets and shelves. Our drywalling & partitions are heavy-duty and it is very easy to install mechanical and electrical services within these well-designed and structured dry walls. Interior layouts can be changed within a very short time and you do not have to deal with any debris and concrete dust. Thabinto Projects (Pty) Ltd in Johannesburg , Gauteng offers the highest-quality, cost-effective drywall partition across South Africa.